Planning a wedding reception on a budget can be disheartening. But it doesn’t have to be! There are a host of options for couples with refined taste and a restricted budget. One area of the budget that can grow quickly is the tabletop centerpiece. These pieces come in all shapes and varieties and are generally placed at the center of each dinning table. The best centerpieces are designed to coordinate with the rest of the events décor; appropriate centerpieces will help your event’s theme suffuse the space and fill your guests with festive feelings. Many floral centerpieces are selected for their color, texture, or the time of year. 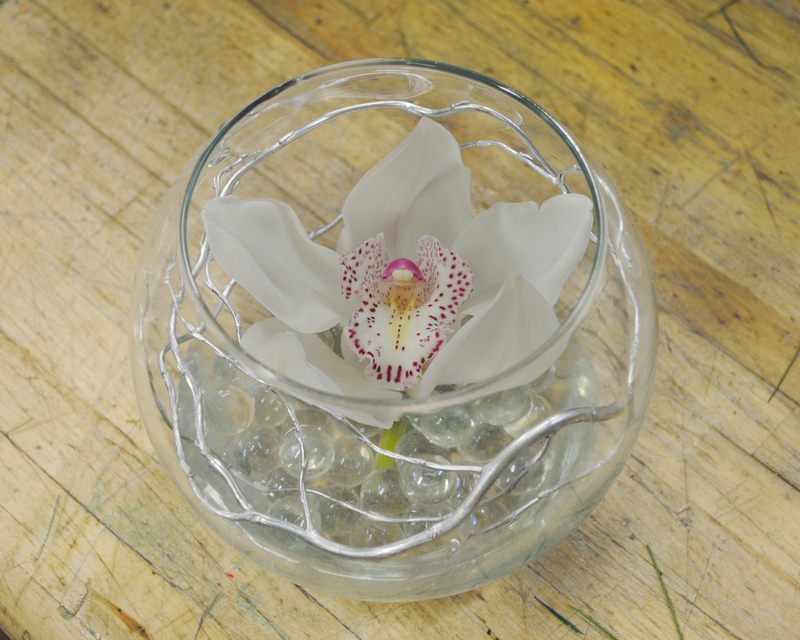 They sometimes include decorative items like colored wire, glass beads, or river stones. The size and shape is also variable and sometimes an event may include a number of sizes to represent the guest’s status; the wedding party and family tables are pretty much always identifiable based on the size of the centerpiece. Starbright Floral Design suggests following a few simple steps to create a stunning tabletop without breaking the budget. Think about Goldilocks when selecting the size of the floral container. Too small and the flowers may feel insignificant, too big and the flowers will just get in the way. Not sure what size you need? Ask you florist! Starbright’s design consultants and client satisfaction representatives will help guide you to success. Many styles and concepts can be scaled easily to just the size you’re looking for. One such arrangement from Starbright is Give Me Tomorrow. 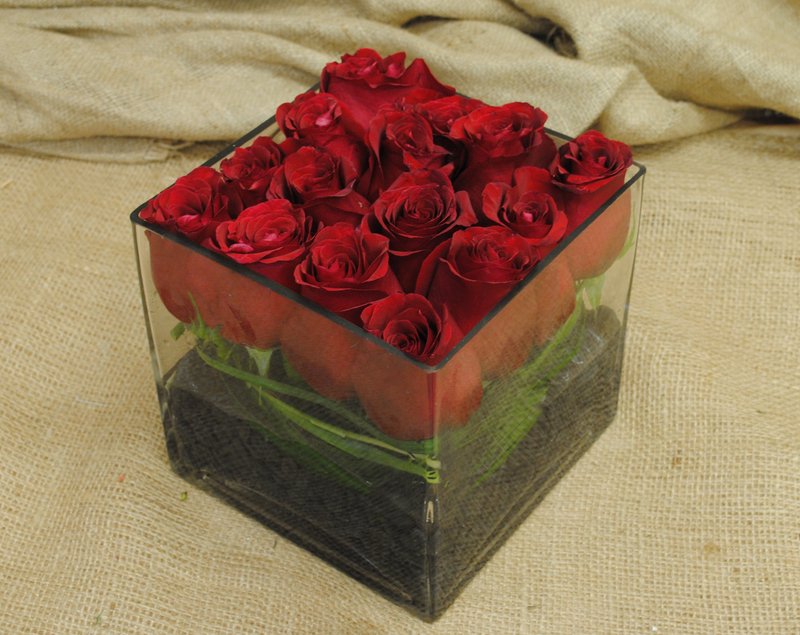 This arrangement features roses cut to fit and fill a square container. Cut roses look good in any size container! Centerpieces should mimic the overall floral direction. A great way to maximize the consistency is to select one standout bloom from the arrangements that captures the color and feel of the rest of the floral styling. 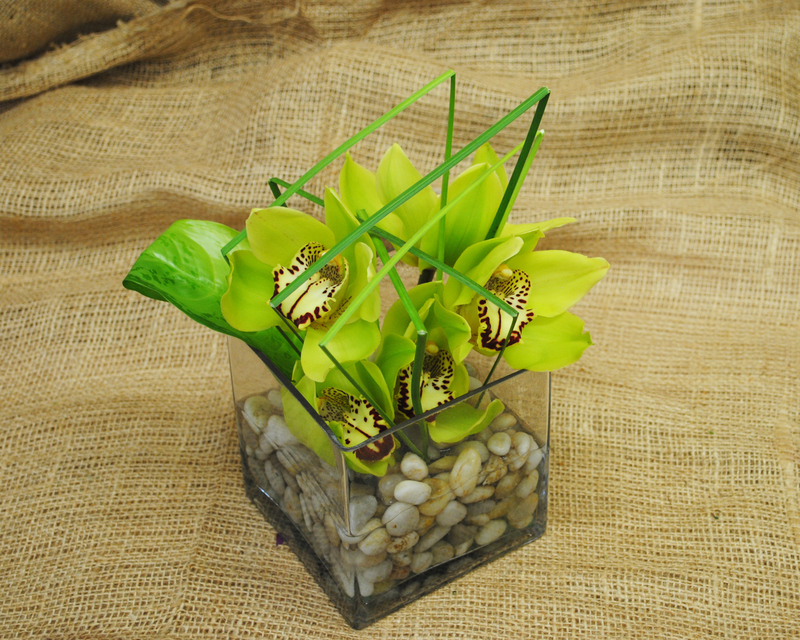 Some of our favorite blooms for this purpose include cymbidium orchids, calla lilies, and amaryllis. 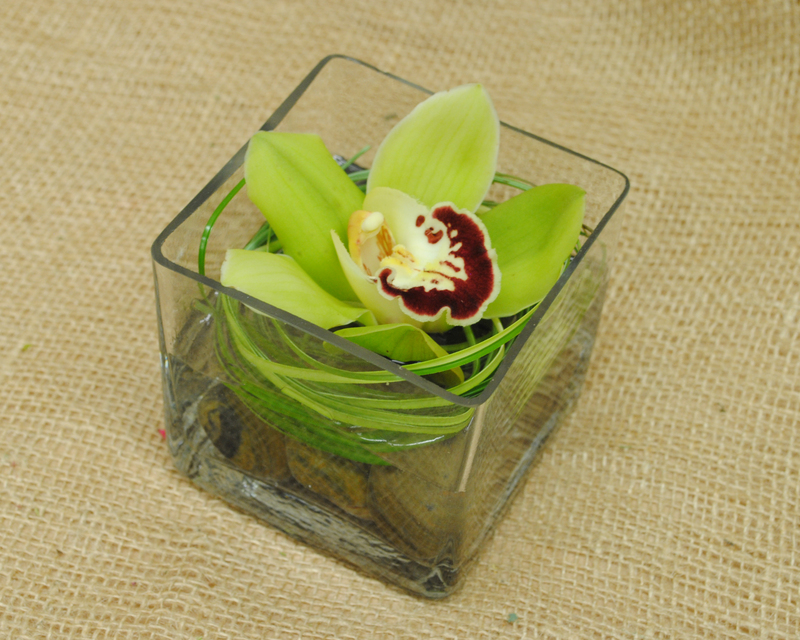 Green cymbidium orchid in small glass cube. 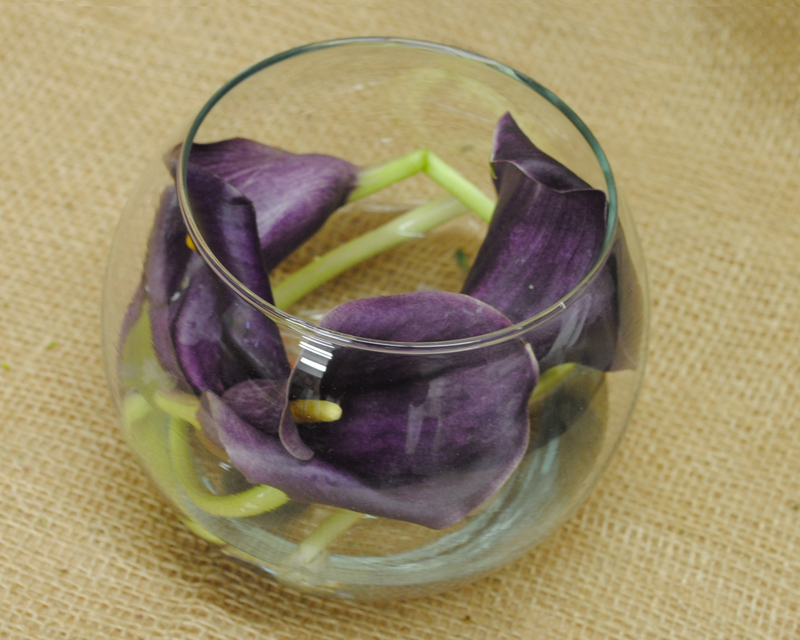 Clean looking callas arranged to fit a small round container. 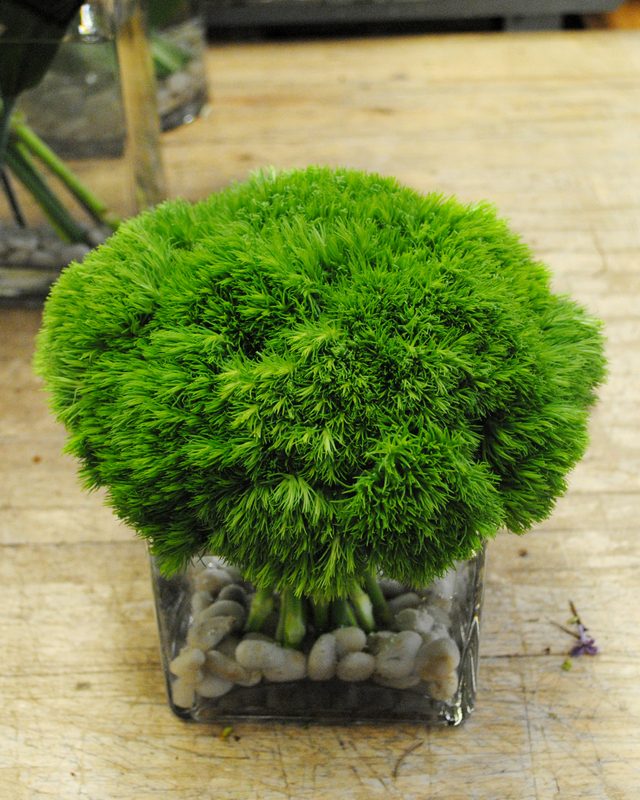 If you’re planning an event or wedding and thinking about centerpieces, give us a call today! Looking for flowers in New York City? Visit our Event Gallery for inspiration. Or see our daily selection at Starbrightnyc.com.